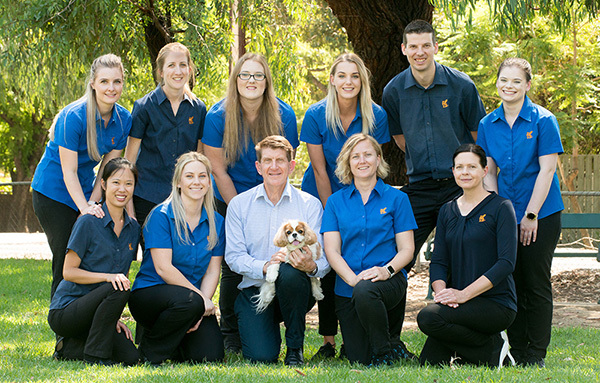 At Stephen Terrace Veterinary Clinic in Adelaide, we realise that continuity of care, excellence in service and good communication are the basic and reasonable expectations of our clients. We understand the strength of the human-animal bond. We are committed to strengthening this bond, providing preventative wellness services and pet healthcare, ensuring a happy, healthy and comfortable quality of life. Your new puppy loves learning, and you will love having a socialised, well-mannered friend for life. Enquire today! Our passionate staff commit to ongoing education to provide the best care for your pet from puppyhood to old age. We are honoured to be chosen by many loyal pet owners to help their pet cross the rainbow bridge. Discuss options today. I now travel half an hour across town just to go there (with my much friendlier greyhound -luckily for them!) as I wouldn’t want to go anywhere else. All the vets & staff are friendly, professional & kind. Thank you so much for all your hard work & patience! I’ve been a client ( family member) with my fur babies for over 20 years. They have been with me and supported the wonderful hello’s, to the sad and unexpected goodbyes. Angus and all the other vets and nurses have been so supportive and friendly. The animals come first. Not the cost. I cannot say thank you enough to Stephens Tce Veterinarian and services. I highly recommend them. More so I trust them with my animals excellent care. Thank you all. Angus Brown, Lara and the rest of the team at Stephen Terrace Veterinary Clinic are amazing. The dedication and care that my beloved dog, Kramer received (he had lymphoma) was way above expectations. I am not a person who is normally generous with my praise, but Angus definitely went above and beyond in how he looked after Kramer. Absolutely no hesitation in recommending Angus and his team. Best vets in Adelaide. Chat with an experienced vet! Best vets in SA. KEEP UP THE OUTSTANDING WORK ANGUS, PHILLIPA, AND Co!! Professional, polite and very caring! your loved pet couldn’t be in better hands! The team are so professional and kind here. Our pet had to be put to sleep and although it was a heartbreaking experience the team were so kind and patient and loving to our dear old dog. I seriously cant thank Alex enough, he was so patient and kind and so loving towards our pet. Thank you, will never forget how kind you all were.